Come close, I have a story to tell. The setting was an old two-story house in Southeast Roanoke. The year was 1995. The characters, a Mom, Dad and newborn baby boy. The arrival of this baby had been prayed over for years and years- joyous doesn't begin to describe how they felt bringing the firstborn son home. He was their most precious gift. From the first time she held him, she noticed his hands. So tiny, yet big and strong. She studied how he curled his fingers when he slept and grabbed things early on. Lots of things. He wanted to hold it all. This mom loved holding his tiny hands and often wondered while rocking him close at night, just what those hands would do one day. And like all of our kiddos do, he grew. As he grew his fingers grew into manhood and curved a bit, much like his Papaw Hersey's. He was usually tinkering with something- stripping the bark from a tree, making handmade flower boxes, bird feeders, a Mother's Day shelf as a gift, walking sticks and so on. Creative and resourceful he was. But no matter how big his hands grew those fingers still curled when he slept, which brought the Mom and Dad great joy. And lest you think the boy child was made of perfection, he wasn't. His parents had their fair share of dealing with his choices that didn't meet their approval. They went along with some of his plans praying that cheering him on would get a better result than disapproval and judgement. Even tho, that cheering was met with judgement and sadness. Life has a way of dishing out natural consequences - which was enough for this boy and better than anything his parents could dream up. People who knew this boy joked that he was born a man- so anxious to be an adult. So anxious to conquer the world. So anxious to just do. Whatever it would be, he was born ready to do it. Despite his parents pleas to just slow down, he kept moving. He went down a couple of paths that lead him back to a starting point through all of them he seemed happiest when his hands were busy. While he was figuring all this out, he started building things. Things that will last much longer than wooden flower boxes - like a family. Some say he rushed that too. Taking a wife and a daughter on the same day at only 19 years old. He had watched adoption and unconditional love play out through the chapters of his life so he said I will with confidence and courage. 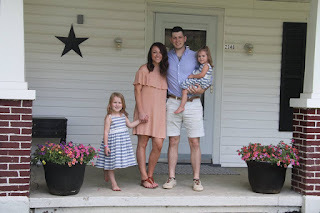 And, while adulting wasn't as easy as he might have thought, he understood that from then on, whatever he did as a man would impact the wife and now two little girls who called him Daddy. His path already had several stops like Ntelos, Universal Technical Institute, Orkin, and other jobs in between to keep a paycheck coming in. Figuring out is hard y'all. And seemingly out of nowhere, that stop behind the curve came and he obeyed his Lord and took a year to build other things of eternal value. His own mom and dad wondered if it was the right thing. It looked different than anything any might have expected. Actually, it looked like a man with his own life stepping back into the lives of two little boys who just happened to be his little brothers. If you were looking in from the outside it looked a little crazy. Why would one who was finally free from chaos come back? He was building them. What looked like him just watching his little brothers, taking them to appointments, playing basketball on a Tuesday morning between math facts and history podcasts, forcing them to bathe and use nice words- was more than that. It looked like throwing pencils. Actually, there was a lot of pencil throwing. It looked like him teaching them how to figure fractions while measuring boards, how to grow food by planting a garden and taking care of your body by visits to the gym and soaking in truth from the Bible and others who have testimonies too big not to share. It looked like all of that but it was so much more. His mom would be perfectly content to keep things just like they were. It was a beautiful thing being built before her eyes. But she knew God doesn't just drop us at our final destination- instead He gives us a path to walk and sprinkles it with different stops along the way. 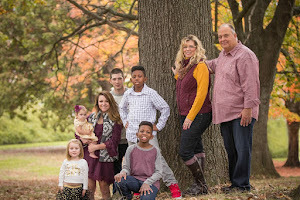 The last year was just a stop and this family knew it was time to keep walking. In faith. Is there any other way? It has to be faith over fear- because God is bigger- even when we can't see the next stop around the curves. And while that boy now man was building his family and his brothers people couldn't help but notice he was building other things too. 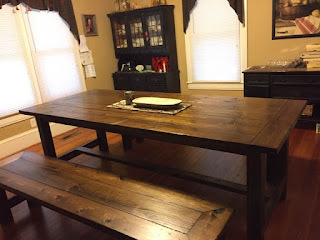 That boy's Momma- she had been wanting a farmhouse table. Their family often invited people into their home to eat and hangout, it's just what they did and they loved it so. But they needed more space- space to put forks and meatloaf, a lit candle, play cards and sit baby girls for important conversations. So the mom asked the son if he would build a table. She knew he could. They piled up the family car with lumber from Lowes- turned their front porch into his workshop and days later... he did what she knew he would. "I enjoy carpentry because I love taking boards that are plain and ugly and turning them into something useful and beautiful, revealing the potential in them. Unlike life where you don't ever know what you're gonna get each day, carpentry is absolute and exact- the boards either fit together or they don't. If they don't you just go back to the saw and shave them off a bit. Bringing the beauty out in things whether it' is building a table, installing a floor or painting a room- seeing things change in a positive way brings joy to my life." You've probably figured out the story is about us. The boy- he just turned 22 on Wednesday and like his Mom and Dad prayed that he would, he stepped out in faith and is walking his own path. Tomorrow he starts a new job working for a construction company- using those hands to build material things. More importantly, he keeps building eternal things, his beautiful family and their lives on the foundation of God's truth. What more could a parent ask for --- except that he not drink alcohol and stop with the tattoos and get out of the house more and.... oops. That's another story. Come close, friends, I have a story to tell. Faith doesn't make things easy- but it sure makes the impossible possible. 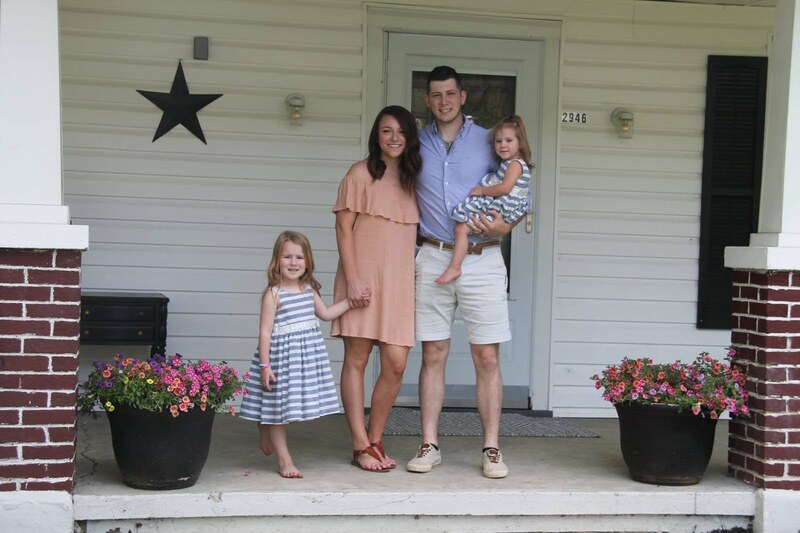 We might not all be good with a hammer or able to whip up a table on our Momma's whim, but all of us can build on the cornerstone. Ephesians 2:20 - Jesus Christ himself, being the chief cornerstone. Go build something beautiful. Shayne- you just keep at it son. You're building some pretty amazing things and making your dad and I proud- but not nearly as proud as your God Daddy for leading your family in faith.